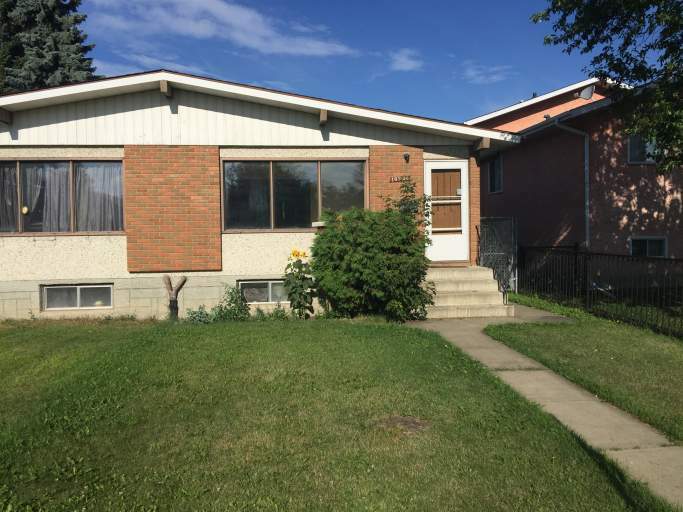 Located in the west end of Edmonton this spacious half duplex offers easy access Stony Plain Road meaning proximity to Mayfield Common and West Edmonton Mall. Enjoy being surrounded by various parks and schools, including Brightview School and Holy Cross Academy. With major bus routes within walking distance this is an ideal place to call home! The duplex itself offers a large front yard and even larger fenced backyard! Perfect for enjoying the summer months, and for your furry friends! Plus enjoy the large gravel parking pad behind the backyard, along with plenty of street parking in the front. Walk inside the front door and be amazed by the massive front living room that is filled with natural light all day! Continue in and find a massive dining space, perfect for your kitchen table and a perfectly sized kitchen! Never run out of cupboard and counter space, and enjoy the full-size fridge, stove and even dishwasher! The main floor also offers two large bedrooms and full bath with tub shower. The basement is designed as a full and separate suite, but has since been decommissioned. Meaning you get to enjoy a fully finished space complete with a large family room, kitchen area, with fridge and stove and extra cupboard space, and another bedroom and full bathroom!! WOW! That a lot of space!! The basement is also home to the washer and dryer machines. Don't miss out on this wonderful duplex! Give us a call today! !